I love brunch. Absolutely love it. You get to eat excessive amounts of delicious food, spend time with friends and/or family, and enjoy a nice cup of joe (or even better… mimosas!). I’m not sure exactly when my love for brunch began. It was probably in high school when we had Sunday brunch every week with my grandparents. Brunch is the perfect time to catch up with my girlfriends. Unfortunately, a lot of my old brunch gang has relocated! When I woke up late Sunday morning, I was craving a nice big brunch. Since my girls were gone, I made myself a meal using things to remind me of them. 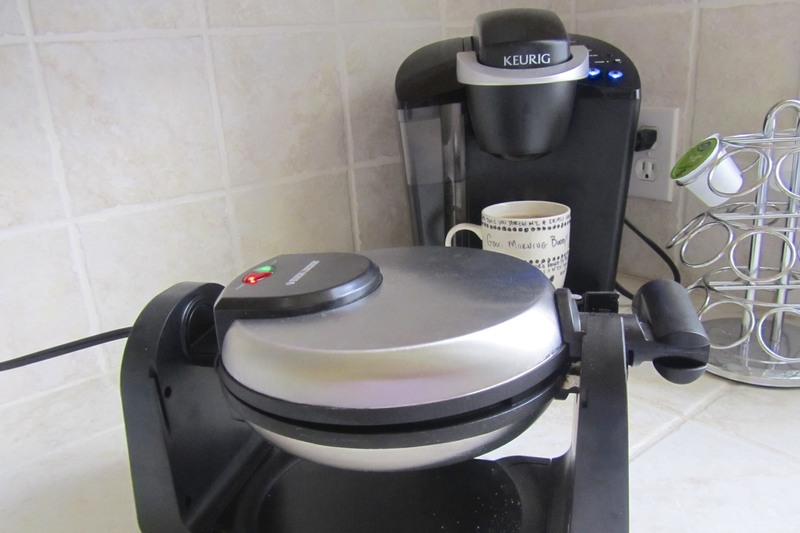 Waffle Iron and Coffee Maker. Great gifts! A great friend of mine gave me her waffle iron when she moved away, and I had not yet used it. 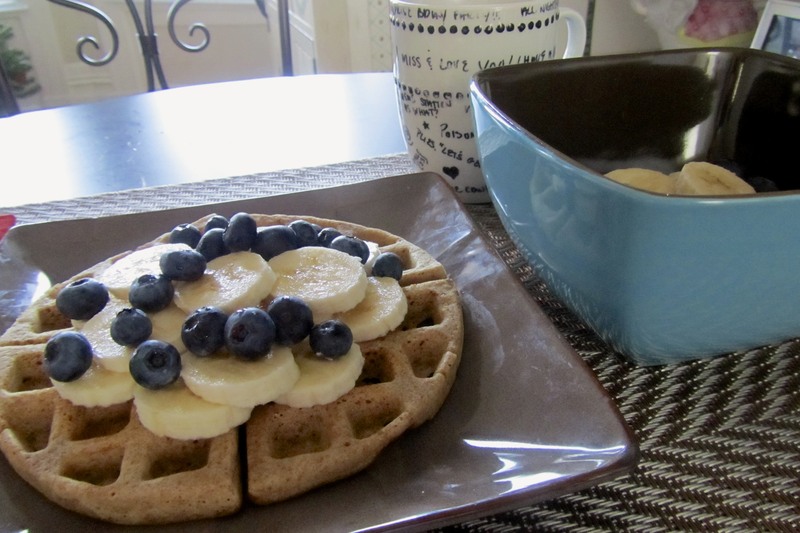 Waffles sounded perfect, but after going on a brinner (breakfast for dinner) kick last week, I was all out of eggs! 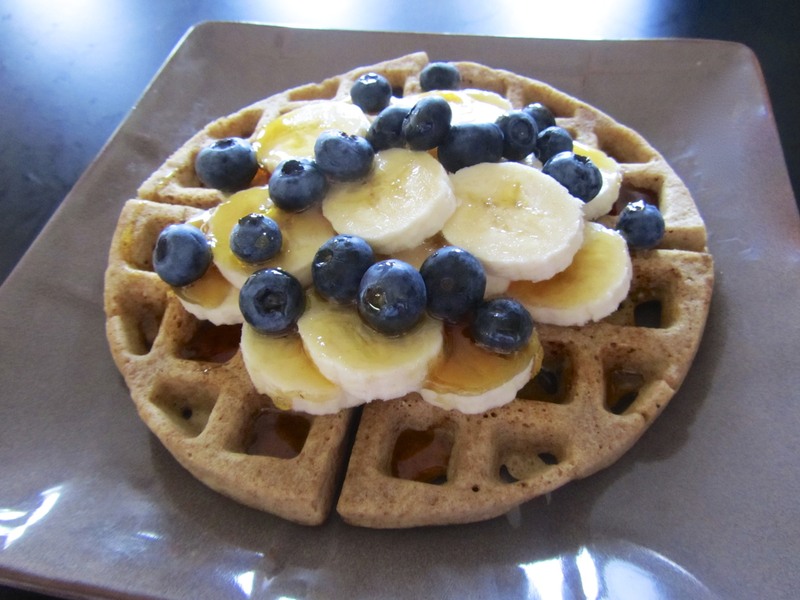 Enter vegan waffles. In a large mixing bowl, combine dry ingredients. Stir in soy milk and oil. Pour into waffle iron and cook according to manufacturer’s instructions. I also made a nice cup of Green Mountain Coffee, using the handy dandy Keurig coffee maker that my sisters gave me a couple years ago. I poured it into my new mug. 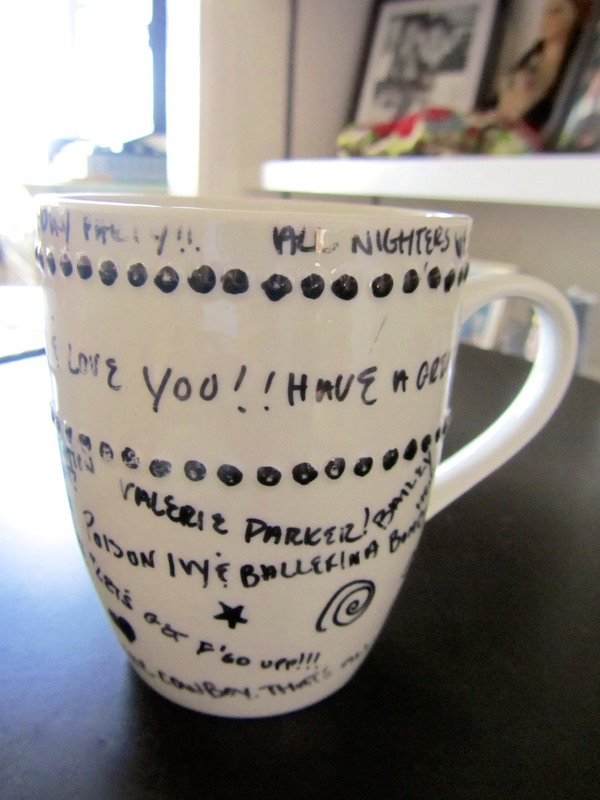 For Christmas this year, my best friend from home gave me a mug decorated with memories of our friendship. It always makes me smile! To finish off my meal, I topped some yogurt with bananas and blueberries. It was the perfect way to start my day! What are your favorite brunch dishes? I’ve been browsing online more than 2 hours today, yet I never found any interesting article like yours. It is pretty worth enough for me. In my view, if all site owners and bloggers made good content as you did, the internet will be a lot more useful than ever before.